1. 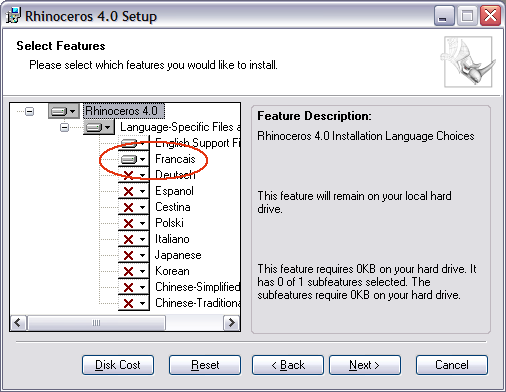 Have the Rhino installation CD in the CD drive. 2. 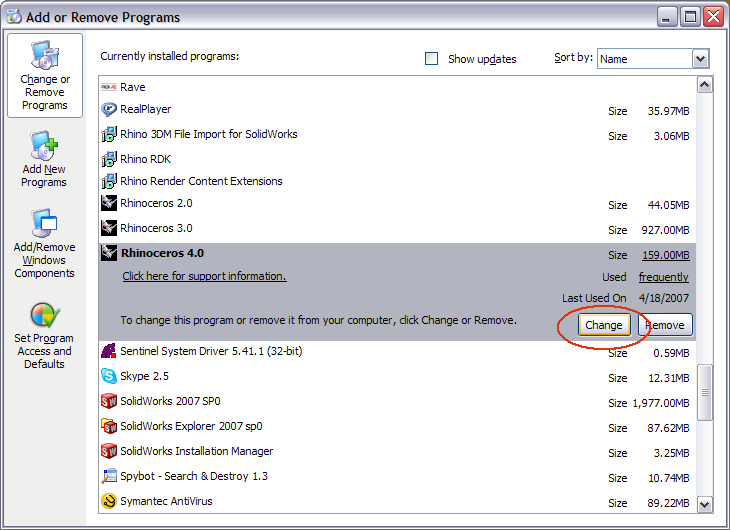 Open the Windows Add or Remove Programs control panel. 3. 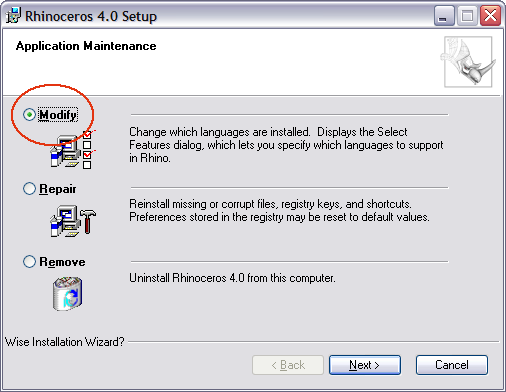 Find Rhinoceros 4.0 in the list and click Change. 4. In the next dialog, click the Modify radio button. 5. Select the languages to install from the list in the next dialog box and click Next. Follow the prompts through the rest of the installation process.